As a mum, my go-to style is obviously a ponytail. It’s a tried and true way to get our hair out of the way as well as keep my kids’ sticky little fingers out of it. But a plain ponytail can be plain boring! 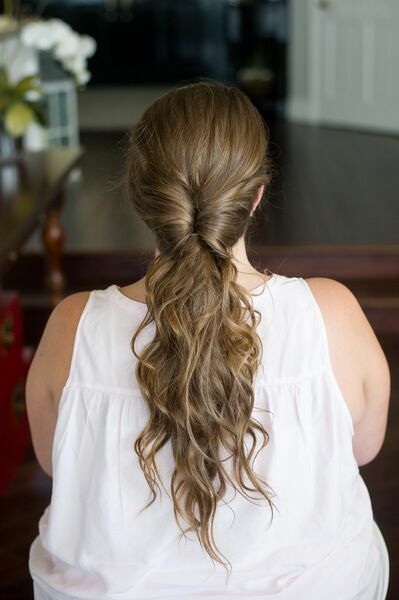 If you have a few seconds to spare, you can easily spice up your ‘do and make your ponytail sizzle. Remember that trick?! It’s such a fun way to make a ponytail look more interesting. To create this style, fasten your hair into a low ponytail. Split your hair above the rubber band, then flip your ponytail through the split and pull it through underneath. This stylish look can be so simple and also create a sporty-chic look in seconds. To create it, fasten your hair into a high ponytail. Braid the ponytail and fasten it at the bottom. 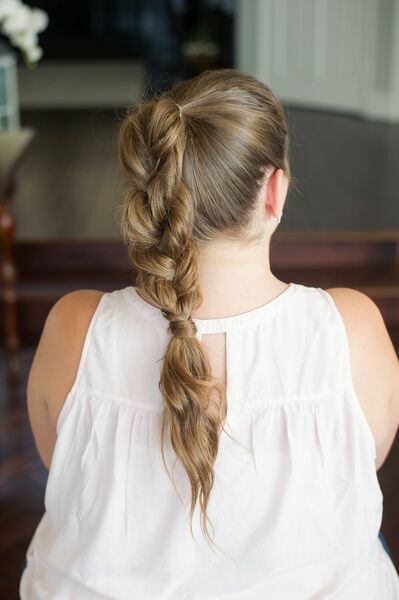 Loosen the braid by pulling at parts to create a casual, effortless feel. Take a small section from the bottom and wrap the bottom rubber band to cover it, then secure the end of the section with a bobby pin into the rubber band. 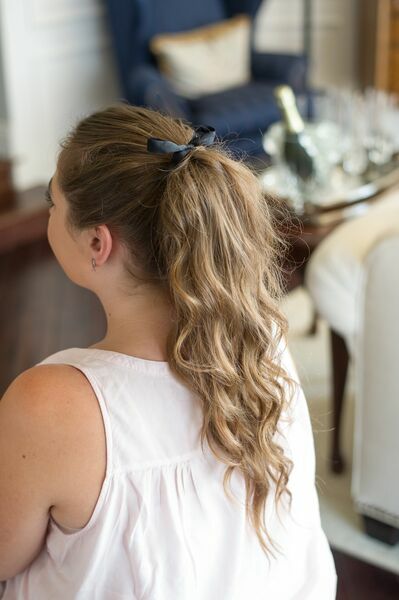 This super sweet addition to a ponytail can make any ponytail that much better. To create it, gather hair either to crown or into a low ponytail. Choose a satin ribbon in any colour (I prefer white, blush, or black). Tie the ribbon over your rubber band into a bow. Even the simplest addition of a bow or jewelled clip can make you look polished in an instant. For the past 7 years Kacee has been beautifying brides all over California, featured publications from Martha Stewart Weddings and Inside Weddings to blogs such as Style Me Pretty and Glamour. Now mum to two little ladies, she believes her house explodes glitter! She blogs daily at Life with Lipstick On where she shares her tricks of the trade along with tons of other eye candy for the online shopping addict. 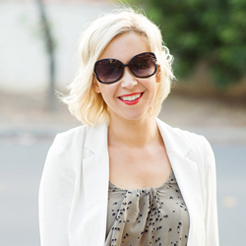 You can follow her sparkly tidbits on Instagram as well as her swoon-worthy inspiration on Pinterest.